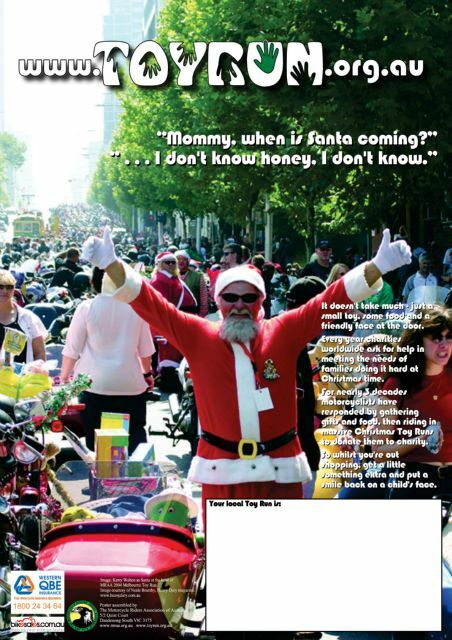 The first Toyrun was held by the San Fernando Valley Charter of the Hells Angels in America 1973. That first run, 200 bikes escorted two truck loads of toys from Griffith Park to Los Angeles city hall. 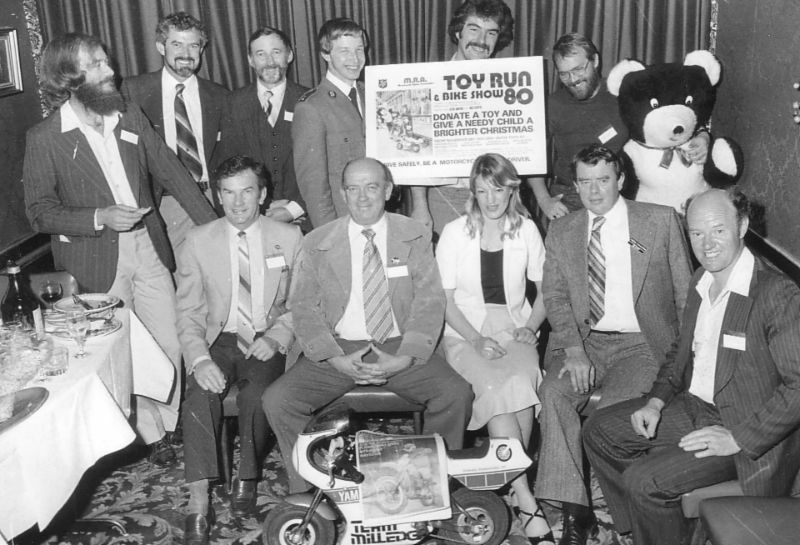 own club, the Harley Owners Group (HOG), in 1983 the toy run had become an institution. 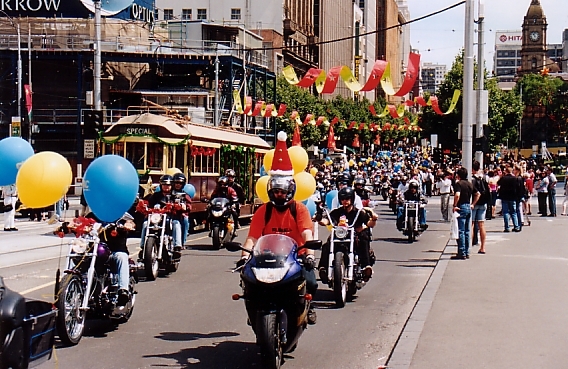 more details of a Toyrun near you and have a look through the photo history of Toyruns below.